Early morning at 7 am your journey will start from Kathmandu by tourist bus and arrive to Chitwan after 5hrs drive. Chitwan national park is located west part of Kathmandu which is situated 150m above sea level in subtropical low land of Terai and Chitwan is a homeland to various kinds of species and animals. Among Asia’s Chitwan National Park is one of the finest national park, renowned for its variety and abundance of wild life which might be best destination specially for Jungle Safari, Elephant riding, Elephant bathing, Tharu village tour, Tharu cultural program at evening, Jeep safari, Elephant birding center visit, cannoning, exploring animals such as one horn Rhino, jackal, fox, crocodile, monkeys, various kinds of birds and butterflies. If you are lucky enough you might see tiger as well. 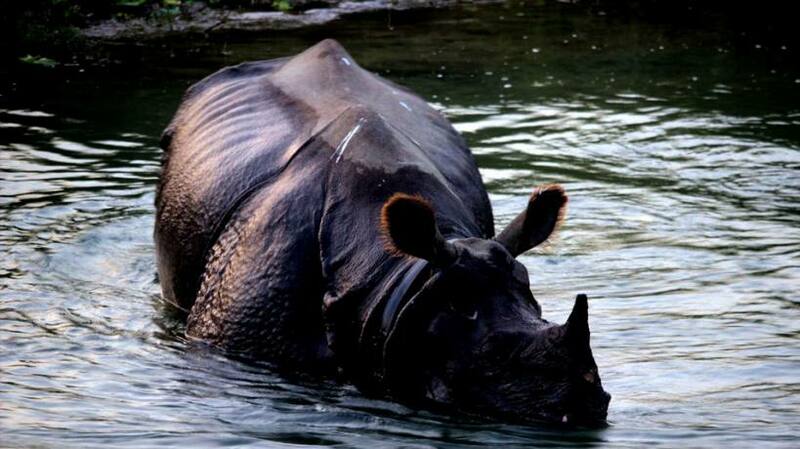 Chitwan National Park is one of major attraction of the UNESCO world heritage sites which is one of the best spot to explore wild life, flora, Fauna and one of the major cast Tharu Culture. Nepal Trekking Experts will offer multi-days packages according your interest. If you have enough time and enjoy it then you can extend as well. Once you arrived in Chitwan, our hotel will schedule all possible activities according your interest and timing. If you have further queries then it will be Nepal Trekking Experts pleasure to assist 24hrs. English speaking Jungle tour guide and all jungle activities such as Jungle Safari, Elephant riding, Elephant bathing, Tharu village tour, Tharu cultural program at evening, Elephant breeding center visit, canoeing etc. Above itinerary is just a guide line. If you are not satisfied then please feel free customize it.